Have you ever wanted to copy from SAS Viewtable to Excel, Word or other application ? Well, now you can, by using the EXECCMD= ViewTable command option. 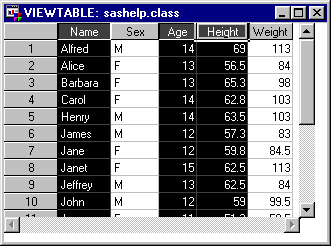 I am running SAS V8.2 on Windows NT desktop. 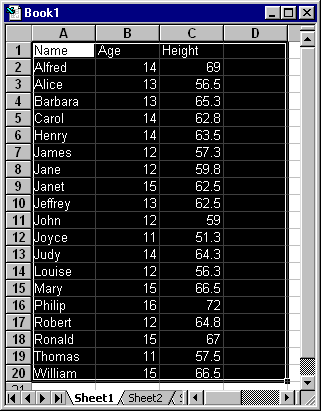 I create a SAS dataset and open it up using ViewTable. I would like to highlight a few rows and columns and "copy" these values into another application such as Excel without using "IMPORT". Instead, it wants to copy these records I highlighted and append them to the file I have opened. So can you do this (copy and paste sas values from VIEWTABLE window) in SAS V8.2 to another application??? I thought "copy and paste" would work but no can do. 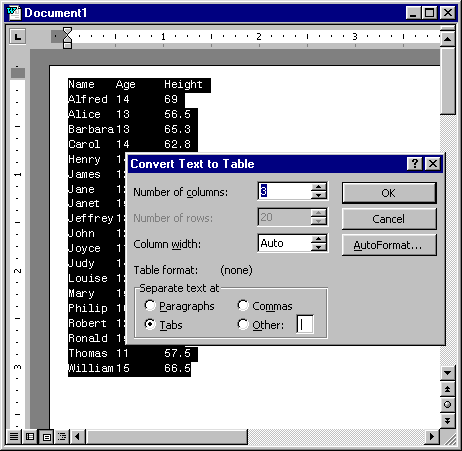 I know I can save the file permanently and then use the SAS System Viewer to "copy and paste" but was hoping that I would not have to go to the extra trouble of creating a permanent SAS dataset just to "copy and paste". The copy and paste functionality you want is not built into viewtable. However, that does not mean it can not be done. In version 8.2, the execcmd= option of the viewtable command now works correctly. This option allows one to indicate an SCL entry that will be 'installed' to handle custom commands issued in the viewtable window. There is an online help document on how to do this. In the online help (not doc) in the index tab, enter "EXECCMD Argument" to learn more. Place this SCL at catalog entry common.viewtable.customcommand.scl and compile. This page was last updated 12 November 2001.